A short time ago, I spent a couple of nights at a timeshare resort while on a business trip to Florida. A major snowstorm was forecast for my home state of Connecticut, and it looked like I might be stranded. Would I be able to spend an extra night if I couldn’t get out? During the first day I was there, I had two messages from Owner Services wanting to know if everything was OK, if I needed anything, and to inform me of upcoming activities. What I wanted, to the exclusion of everything else, was to know whether there was availability for one more night. I called the extension labeled “Owner Services” and asked them. They transferred me to another location where an automated system told me to enter my owner number. When I couldn’t, I was disconnected. I decided to go to the Owner Services desk in the lobby, but the line was long and I had a meeting. A few hours later, I happened to be in my unit when I received Call #3 from Owner Services, asking if there was anything I needed. When I asked them my one burning question, they said they couldn’t help with that, and didn’t have any suggestions as to who might. But had I heard about the welcome party in the clubhouse? One of the things the timeshare industry prides itself on is the highly educated nature of its owners. Most people with bachelor’s and advanced degrees are smart enough to figure out that what is called Owner Services in many resorts is merely an in-house sales operation. They’re afraid to go anywhere near it for fear of being pressured to take a sales tour. One of the ironies of the sales process (especially for existing customers) is that the best way to sell is not to sell at all but to provide superior service first. Then you can start selling. Whenever someone is described as a great salesperson, the first thought that occurs to me is that they are not a very good salesperson. They usually turn out to be fast-talking, slick people who immediately get your guard up. Those who can really sell are usually described as helpful, efficient, and likeable. That’s why people buy from them. I once managed a group of loan officers whose goals were to originate new loans. If you met the group at a cocktail party and were asked to rank them by volume, you would probably get it backwards. There was one gentleman almost everyone would put at the top of the list, someone always described as a great salesman. He was quick with a joke, known and liked by everyone, and was a skilled and experienced lunch companion. He was also at the bottom of the sales list. He didn’t know the products very well, over-promised and under-delivered, and couldn’t get a deal done. The person who was at the top—every year by a wide margin—wouldn’t have attracted your notice. His main goal at a cocktail party was to leave as quickly as possible, and he often skipped them altogether. But he was incredibly good at taking care of his clients. He could guide them through the process, get done what they needed to get done, and do it all by their deadline. When they called, he answered the phone. When they needed him at their office, he was there. And he was likeable. Despite lacking traditional sales and schmoozing traits, he was by far the best salesperson. Today there is a strong emphasis on in-house sales, since front line tours are so hard to get. When your prospects are already your customers, the best way to sell them more timeshare is not to pressure them to take a tour, but to service the hell out of them, without appearing to have an ulterior motive. Do everything you can to see that they have a fantastic vacation, and put the sales hat in your pocket until the right time comes along. Every opportunity to provide a service is an opportunity for low-key selling. Help them get an exchange booked. Plan a great activity for the family. Let them know if they can stay an extra night if it snows in Connecticut. Owners who begin their stay angry are not likely to be good prospects for upgrades. Substituting sales for service will result in fewer rather than more sales, whereas fantastic service and a great guest experience will lead to more sales. If you have a family of four in residence, you have three in-house sales people with the decision maker virtually every hour of every day. If the kids are having a fabulous time, they’re going to do a better job on Mom and Dad than the best salesperson on your line. 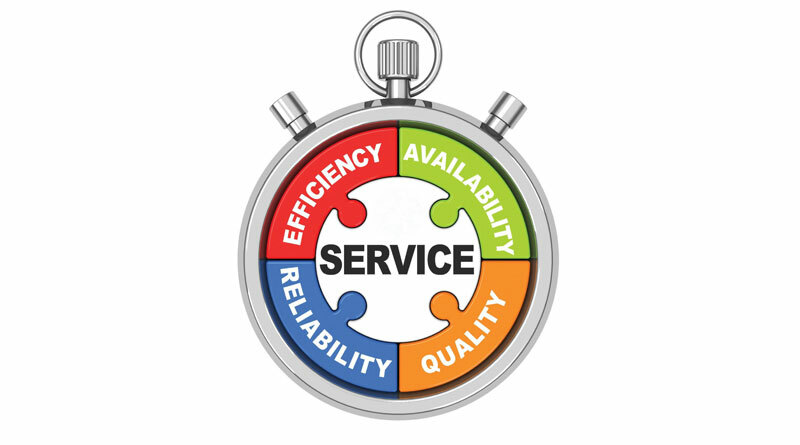 Put the Service back in Owner Services and it will turn into a sales center on its own.